With thousands of articles about combating procrastination, I’ve seen few that deal with the reciprocal problem: not knowing when to stop working. Surprisingly I believe both procrastination and working until exhaustion are symptoms of the same root problem: poor schedule calibration. 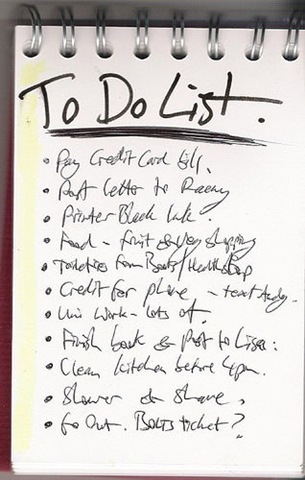 The quickest way to beat the procrastination/burnout problem is simply to make clear to-do lists. If you don’t specify what work you plan to do, then it is hard to know when to quit. And if you don’t know when to quit, you probably won’t be too eager to start. Procrastination and burnout both stemming from a lack of organization. “But I have to-do lists and daily goals and I still procrastinate and feel guilty when I take a break,” you say. This is where schedule calibration comes in. Setting a to-do list won’t immediately solve your problem. If you make the to-do list too large, you will start procrastinating again. If you make the to-do list too small, you’ll feel pressured to work in your off hours. Without calibrating your schedule, a to-do list is just a piece of paper. 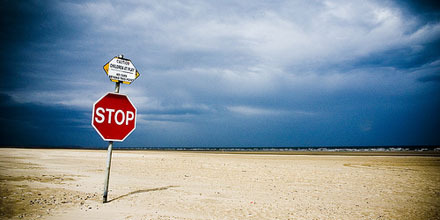 Picking the right size of workload so you don’t feel overwhelmed. Developing trust in your system so soft deadlines replace hard deadlines. Picking the right amount of work isn’t easy. If you have a report due on Monday, it needs to get done by Monday, not when you decide you have enough energy to finish it. But overambitious to-do lists tend to sabotage themselves. Setting to-do lists that are challenging, but reasonable is the only way to sustain productivity. My solution to this problem is to break down projects into weekly and daily increments. If I know I have a big project due in 3 months, I have some flexibility about how much work I’ll do next week and tomorrow. Breaking down large projects makes it easier to calibrate. Calibration works through trial and error. If I wanted to write 5000 words of my book on Tuesday, but failed, I’ll try 4000 instead the next day. If 4000 was a breeze, I’ll attempt 4500 the day after. The more you continue this process, the easier it is to find your threshold for getting work done. Are you the kind of person who panics to finish a project the night before it is due? The problem here is that you rely too much on hard deadlines. Hard deadlines are the deadlines imposed on you by other people. Your professor wants the essay in by the 15th. Your boss needs your proposal by Tuesday. Your wife’s birthday is in a month and you need to get a gift. The problem with relying on hard deadlines is that you can’t calibrate. If I have three projects due next week, they need to get done, regardless of whether my calibrated schedule suggests I spend three weeks working on them. Hard deadlines tend to clump up, meaning you have weeks of incredible stress and weeks of laziness. You can improve your calibration by improving your soft deadlines. Soft deadlines are the deadlines you give yourself. Although normally these deadlines aren’t as motivating as hard deadlines, if you develop trust in your to-do system, they can be just as effective. violate trust with a friend, you won’t be able to rely on them later. Without trust, you can’t have a relationship at all. You also need trust with your to-do list. The more trust you have in your to-do list, the more you can rely on it to motivate you. If you trust your to-do list, those soft-deadlines will be just as motivating as your boss informing you that you won’t have a job if the project isn’t finished on Friday. Not finishing your to-do list. Finishing it, and giving yourself more work. The first problem occurs when you set the bar too high. 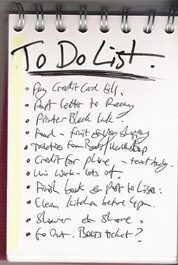 If you set unrealistic to-do lists, then they won’t be as motivating as achievable lists. If you’ve completed the last 20 days of to-do lists, you will be committed to completing the 21st. But if you grossly overestimate how much work you can do, you’ll fall back into procrastination. The second problem is more subtle. Usually this occurs when you easily finish your to-do list. You still have work to be done, but you’ve accomplished everything you wanted to do that day. Should you add more work? The answer is, in most cases, no. Adding more work violates trust in your to-do list. If your to-do list always expands to fill your time, you’ll rely on hard deadlines to motivate you. I’ve had days where I’ll finish my to-do list before noon. I strive to ensure I don’t work for the rest of that day so I can build trust in my daily goals. I’ve also had days where my to-do list was far more work than I expected. I’d work for a dozen hours straight even though the project wasn’t due for days. All of this helps ensure I stay calibrated. Most of the time, however, calibration helps. Instead of relying on external deadlines to drive you forward, you can be driven internally. An internal drive helps you smooth out workloads so you aren’t scrambling to finish right before the due date. Images by Iko and Ebby.